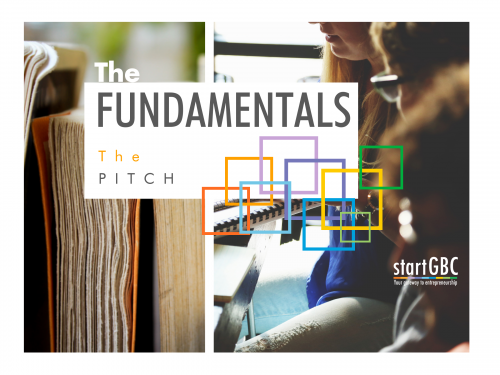 startGBC presents: The Fundamentals, our NEW workshop series that will be covering the basics every entrepreneur needs to know. In this workshop, we will be covering The Pitch. How do you successfully pitch your business in 3 minutes or less? How do you captivate an audience? What are the things you should focus on? In this workshop, we will work through the Open-3-Close Pitch Model, followed by a hands-on session where each attendee will work on and deliver their own mini-pitch.